We designed 5,000 square foot offices for this 18 person law firm. Project scope included both open office areas and glass-fronted private offices. 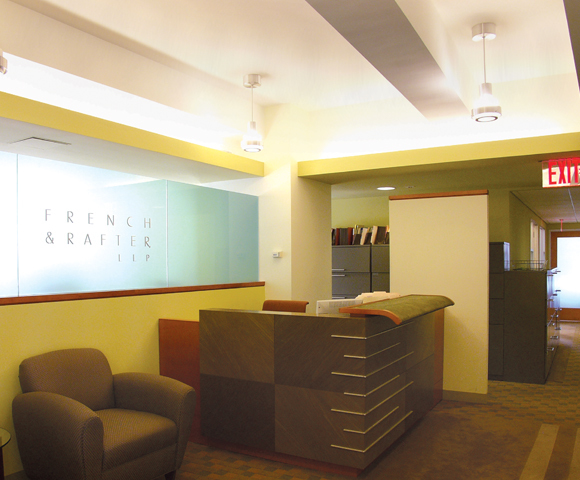 Our work included complete F.F.& E including furniture and a reception desk.